The private Glastonbury Festival Campsite ‘Land & Sky’ have supported Bike 4 Cambodia since day 1. In 2014 the money donated by Land & Sky was used to build a sink at Ror Angleur school. 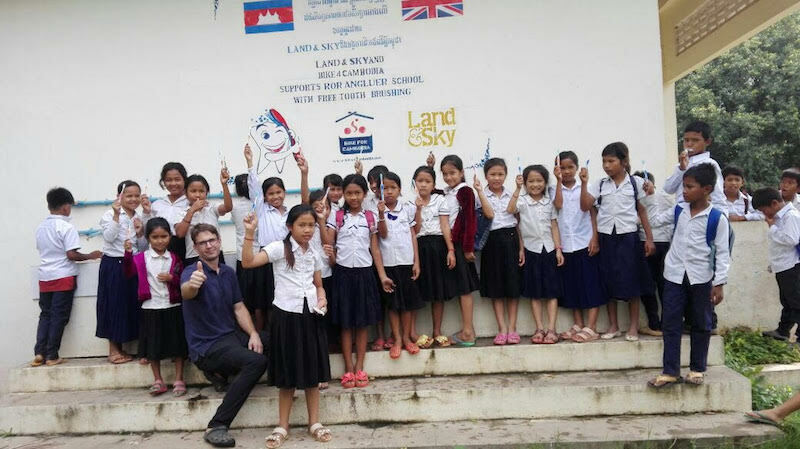 Now almost 300 kids brush their teeth daily at the school and the kids also get to visit Bike 4 Cambodia’s dental clinic. If you are planning to visit Glastonbury Festival Land & Sky offers a very nice alternatives to normal camping. Land&Sky offer relaxed camping adjacent to the Festival for those who have tickets but don’t want to camp with the crowds at the Festival onsite or offsite camping. Land&Sky is a small scale site that provides a private sanctuary and helps you recharge when you return from the main site. 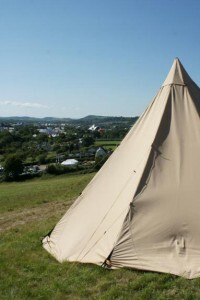 The Hospitality level tipi will be with full interior of carpets, rugs and luxury camping mats, egyptian cotton linens and towels changed as you need them and feather duvets and pillows. Floor cushions and lanterns will be provided. away from the crowds and mud. 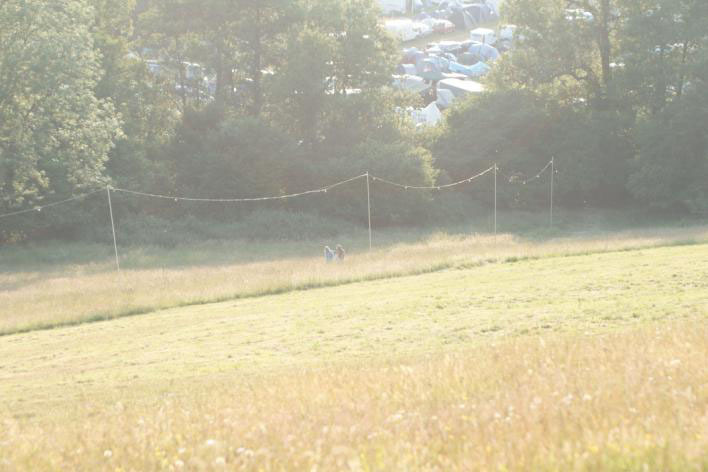 The campsite is located south east of Public Gate C and can access the festival on foot at gate C (15 minutes walk) or at gate VG3 if you have hospitality passes (5 minutes walk). 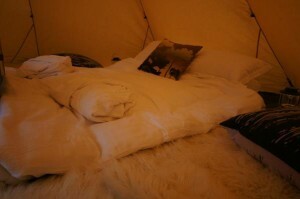 -egyptian cotton linens, feather duvets and pillows. Breakfast served till 11 am, Lunch & Supper menus from 5pm to the early hours.